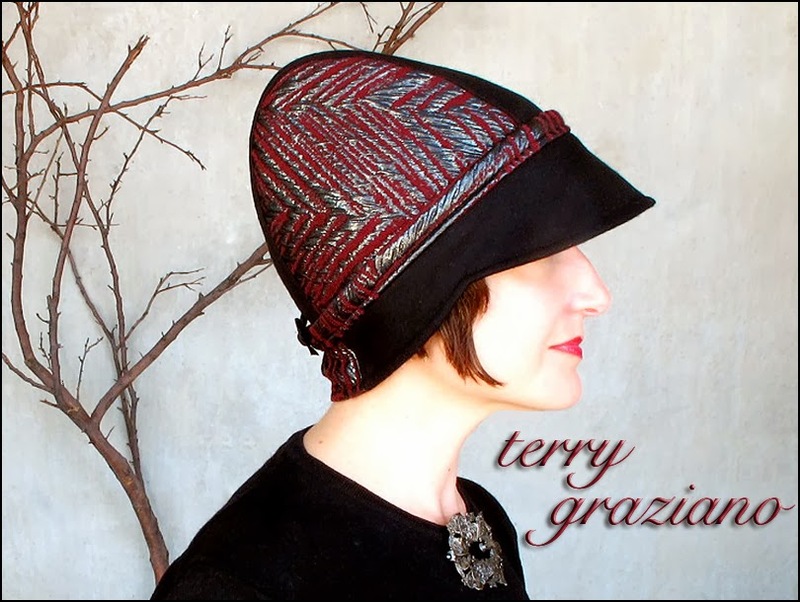 I have a deadline for this post: sundown. 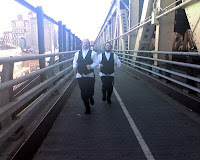 I couldn't believe my eyes when I saw these two conservative, Jewish men running up the Queens Borough Bridge on Friday, as I pedaled my way over to Manhattan. Most runners I see give no clue to their religious inclinations but these two left no doubt. So many questions, so little time. "Where are you running to?" I asked. Heshie, the slighter gentleman on the right side of the photo answered, "Just out for our daily run. We have a family now and need to stay in shape. "Aren't you a bit uncomfortable running in those clothes?" Heshie's friend, Moshe who seemed a little guarded replied, "No choice, these are our clothes, for everything." "But at least the shoes?" I tried persuading. "Can't you at least get a black pair of running shoes?" Heshie and Moshe looked at each other and chuckled. "These shoes work just fine," Moshie said. "Besides, why should we spend money on special shoes?" "You might get injured," I suggested. "Why would we get injured? Our shoes have rubber soles just like your expensive, big shot running shoes," Moshe proudly countered. They got me thinking about how many pairs of running shoes I go through in a year and that maybe I should head over to Harry's in the City and get a pair of black dress shoes with Vibram soles. "You know," I said,"Jews really aren't known for their athletic prowess?" "We know, we know. But we like to run." I looked around and there was no else on the bridge but the three of us. A thought popped in my head. "What if we started a running team made up of Jews and Palestinians?" Hershie and Moshe looked at me as if I had one eye stuck in the center of my forehead. "Think about it," I said. "Running, teamwork, goal setting brings people together. Even people with huge differences. Think of the Olympics. Well, don't think of the 1972 Olympics but think of the possibilities." Hershie stroked his beard. "Maybe. Maybe you have something." "It could be a wonderful thing," I said with too much excitement. "Think of the marketing, the publicity. You caught my attention, didn't you?" Hershie stopped running, took a deep breath. "Okay, maybe we'll go and look for special black running shoes and then maybe we can talk more but first we have to finish our run." "Yes, we have to finish our run," Moshe confirmed. 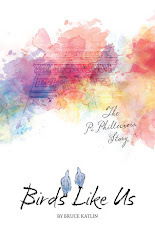 "You know," He leaned in closer to me and I smelled the sweat coming from his tallis. "If we have a team who would be the leader, us or them?" I considered carefully before answering. "Think of a team as one entity or as "us" and not "them" or "others". 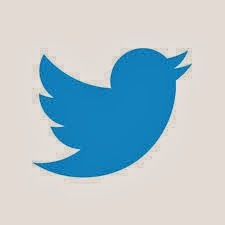 You and they become "us" or "we."" Hershie stroked his beard again only this time more slowly and pondered, "Hmm, interesting. But I don't think we could. We don't mix. Them and us." 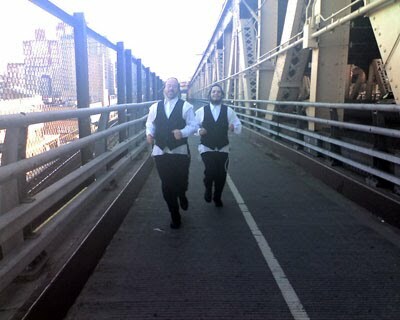 I reminded them how their running brought us together on the middle of an East River bridge.